Japan is quite proverbial for its kawaii stuff. This deodorant isn’t an exemption. Been using this for about 2 months. I don’t use this everyday, though. I only dab this little cutie when I go out to work, meet people, and when I have to stay outdoor for long hours. 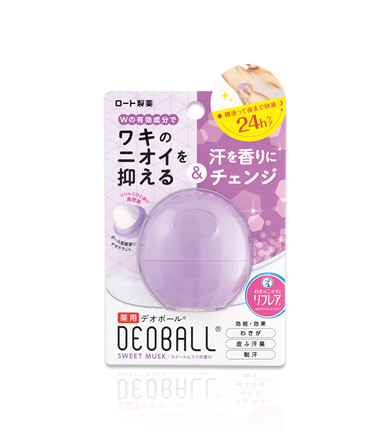 “Deoball”is a cute antiperspirant of ball type that takes care of sweat and odor. Firmly blocks odious odor and sweat. So small that I can probably bring this anywhere. I’ve tried sweating excessively due to walking a lot but I could still smell its scent. I was still confident. It’s smooth on the skin. Don’t need a huge amount to get it to work. I’ve led a frugal lifestyle but this product has been effective since day one. Thus, I wouldn’t mind buying it again. I don’t splash out on deodorants however, I’m happy with this product. Perhaps, I’ve found a new favorite. Wow! 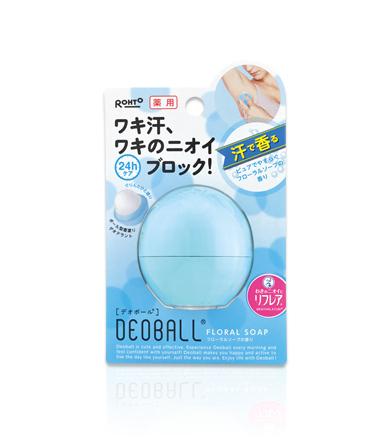 I wish this is available in the Philippines or at least I hope we saw one when we scoured the cosmetic stores in Shibuya. 😦 Thanks for sharing! This looks a lot like that eos lipbalm btw!